This wall scroll is discounted because of a minor brown spot in the upper left painting (which should be easy to ignore). It would have been a $90 scroll from this artist if perfect. 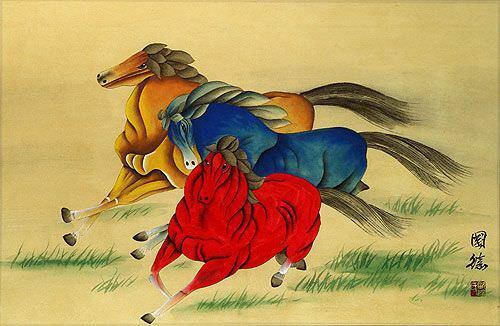 This would make great cheap art for a child's room (if they love horses).